For those who want to workout at home and are planning on setting up a home gym, I’ve written this blog post that will hopefully guide you in the right direction as far as equipment selection, and cost. I decided to start with, what I believe are the essentials to any home gym. When I used to train at a commercial gym, I would occupy the squat rack (or power rack) and perform most of my training there. The selection of exercise equipment I’ve invested in is based on what I have used on a regular basis at the gym, which really isn’t much. To minimize cost, I try to buy the equipment used. But this isn’t always possible because I prefer to have items delivered rather than picking it up myself. The last thing I want is the steel plates damaging the concrete floor after a heavy deadlift, so proper gym flooring is essential. My original plan was to buy horse stall mats from the Tractor Supply Company (TSC). But it’s a bit of a hassle to go there, pickup 10 rubber mats that’s 4’x6’, weigh 100lbs each and 3/4” thick, put it in the car and transport it home. Luckily I found an ad on Kijiji (a classified ads website similar to Craigslist) from someone who was selling about 30 stall mats. Turns out that these mats were used at a Crossfit gym in Waterloo! At the time, Crossfit Waterloo just moved location and wanted to sell their old stall mats. It’s awesome for weights, but when tried hitting the “Body Opponent Bag” while barefoot, the bottom of my foot was all black. I’ll need to get some proper mats designed for martial arts in the future if I don’t want to be scrubbing my feet for 10 minutes after kicking the bag. Cost: $300 for 10 mats. Next I needed a power rack or squat rack. I was debating about the Amstaff TR023 or a Rogue power rack, but in the end choose Amstaff. It’s a solid rack with band attachments and monkey bars at a low price. Check out my review here. Purchased this bench along with the power rack. I managed to find some good deals on Kijiji, and this is the best deal I’ve encountered to date. 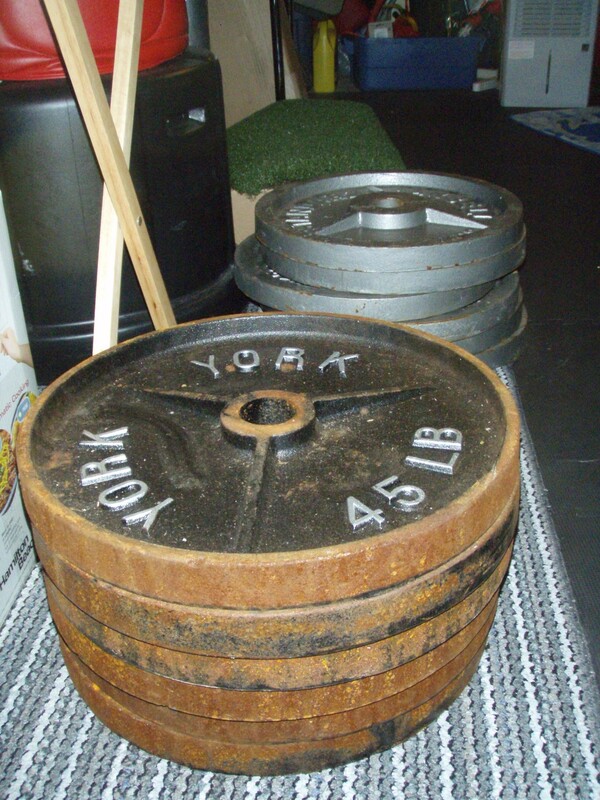 A lady wanted to get rid of twelve 45lbs Olympic plates. I’m not exactly sure why she even had so much weight in the first place. She wanted $50 to have them removed from her premises. AWESOME. 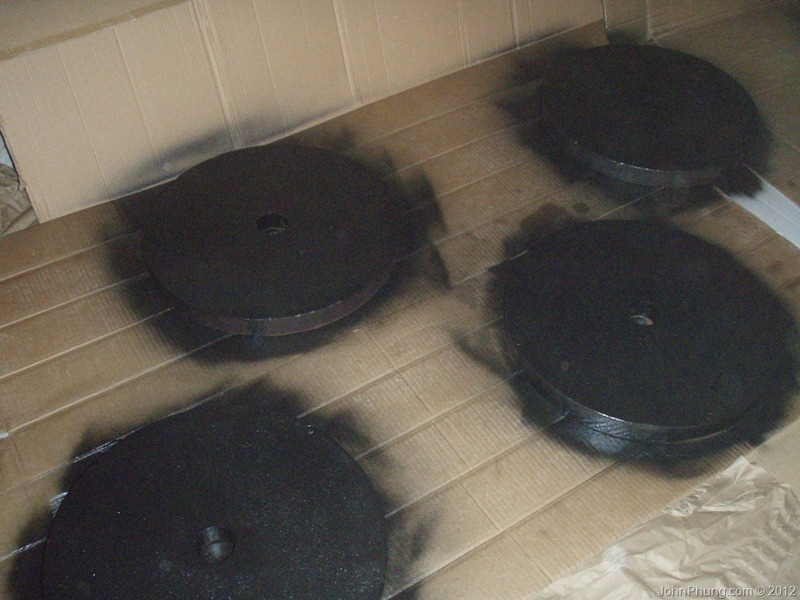 The only negative about this was I had to pick them up myself, and the plates were rusty (I have since refinished half of plates). But at 50 bucks, it was a deal I could not pass up. The plates are marked “Bollinger”. I don’t think this company makes Olympic plates anymore. I’m not even sure it still exists. I bought this from Sears.com. 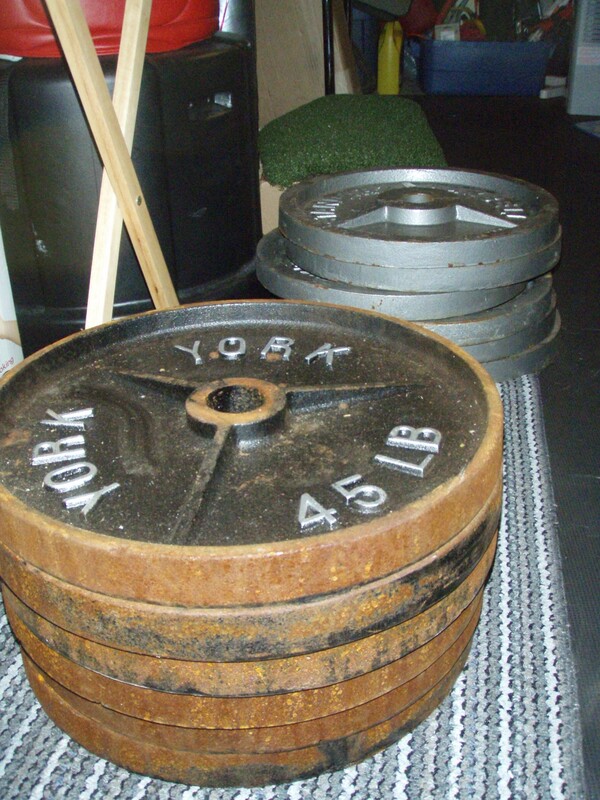 I wanted an extra pair of 5lbs plates so I can have all possible combination of weights. Purchased these from Rogue Fitness. Expensive, but very very useful. My review of the Rogue fractional plates here. 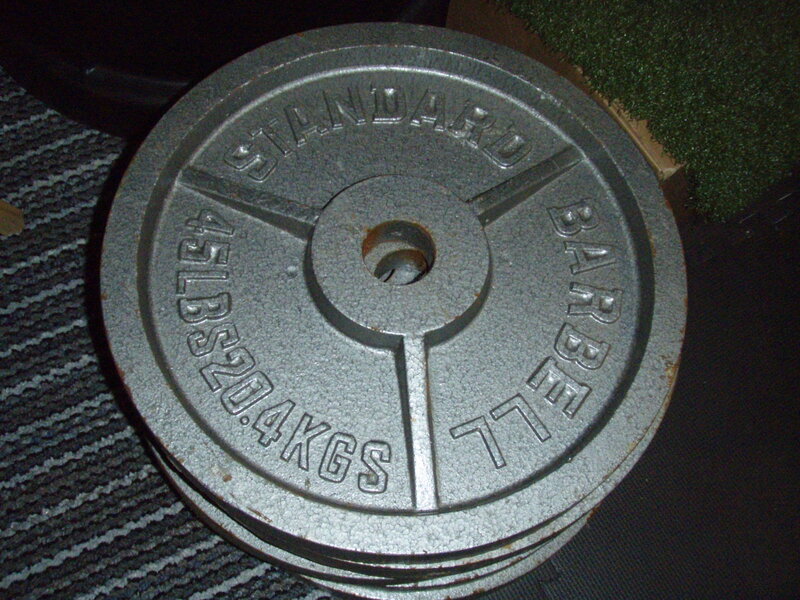 When I was living in Bangkok, Thailand and training at a gym there, the plates kept on sliding on the Olympic bar, even when I used spring collars. Purchased these collars from Amazon and haven’t that problem since. The B&R bar a solid bar that’s probably going to last me the rest of my life if I take care of it properly. Read my review of the B&R bar here. Cost: $350 *included shipping & taxes. 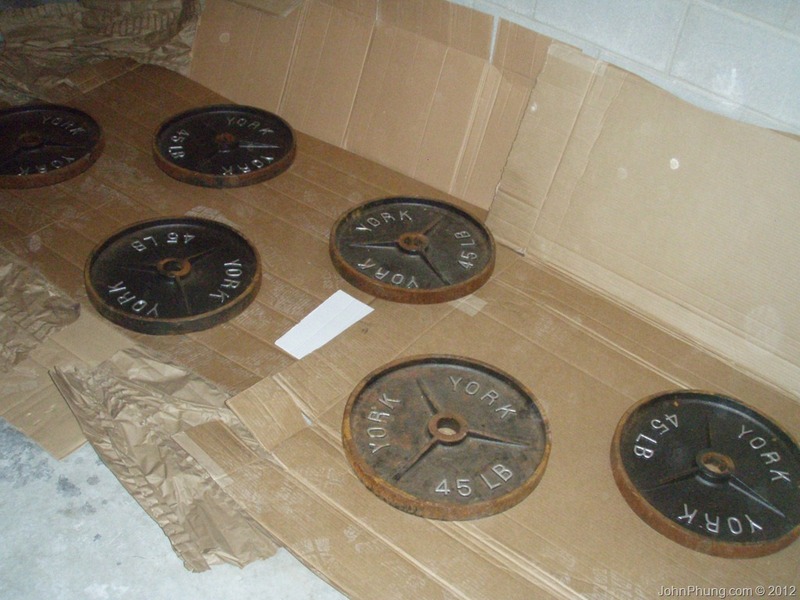 I was thinking I could save some cash by having my weights on the floor. That thought lasted about a day, since I couldn’t stand seeing all the plates lying around. I bought 2 of these because I wanted a weight tree on each side of the rack. It would make it convenient to load the bar on each side. 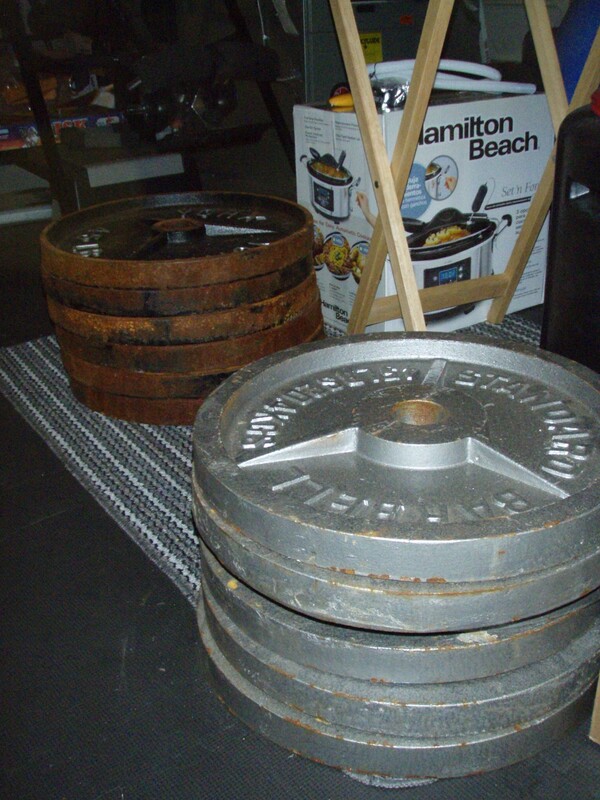 I also need 2 because one weight tree wasn’t going to hold 800lbs of plates. Check my review here. Cost: $110 *included taxes. Shipping was free. 1.5L bucket of “Teknik Chunky Yeti Chalk”. Purchased this from MEC. 1 tub cost $8. I’ll round this up to $10 with taxes. I got this while I was living in Bangkok. I wanted a neck harness that was durable, but lightweight. Most neck harnesses I’ve seen uses chains, but the one from Ironmind is made from nylon (I think) and supposedly can hold over a ton. Works for me! I also purchased this while I was living in Bangkok. 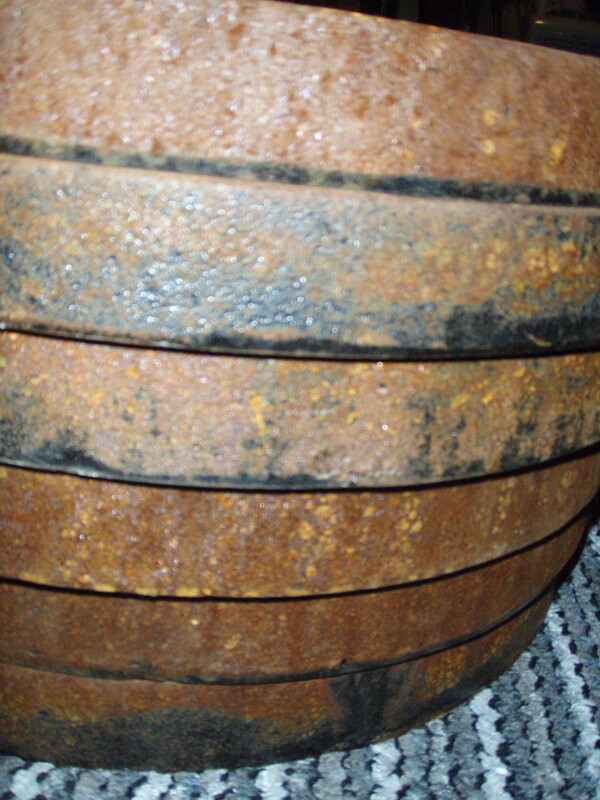 There wasn’t a dip belt at my gym, so I scoured the interwebz to find a durable but lightweight dip belt. I found the this Ironmind dipping belt on eBay at a great price. There’s no metal chains, so it’s very light. Also, it’s made by Ironmind, who makes equipment for the World’s Strongest Man competitions. I’ve seen these advertised everywhere, so I decided to pick up a pair and see what’s all the fuss is about. They’re actually pretty good. When I was planning my home gym, I knew I watched something to punch and kick. It was either a heavy bag, or a free standing bag. I got this off Kijiji. Right now it’s being used as a place to hang some of my gear. To be honest, hitting a freestanding bag is not the same as hitting a properly hung heavy bag. Even when filled to the top with water, it still moves around when I kick it. I’m currently using this as a standing desk. I got this off Kijiji for $35 delivered. What I used to do is log my workouts in my iPod Touch. I would make a draft, and then upload it to my website. But now I can do everything straight from my laptop which eliminates the extra step uploading from the iPod. I’m finding that having a separate computer and location to do specific work really helps with productivity.It also helps being surrounded by exercise equipment when writing about exercise as well. So far, in total I’ve invested $2321.76 in my home gym. You might think that’s a lot, but $2321.76 pays for a little over 3 years of a gym membership, assuming the monthly cost is $60 (not including the cost of transportation). But since there’s 2 people using my home gym on a regular basis, $2321.76 will cover about 1 year and 7 months worth of a gym membership. I plan on lifting weights until I’m on my death bed, so the way I see it, $2321.76 for my current home gym is good investment. If you’ve got the space and you TRAIN on a regular basis at a gym, I would seriously consider setting up a home gym. You don’t need to buy all the equipment at once, and you can find some pretty damn good deals on classified ads websites such as Kijiji or Craigslist. 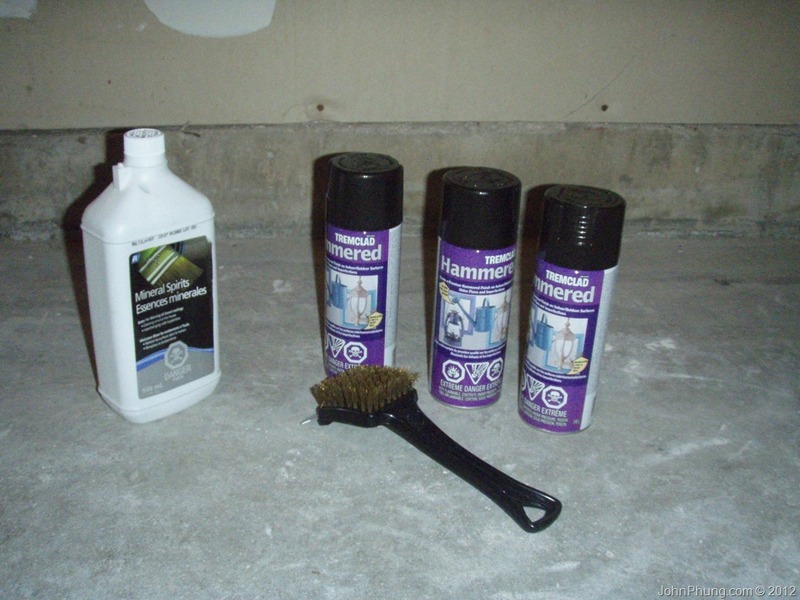 Best part is, you don’t have to deal with any of the annoyances typically found in a commercial gym! They were on the classified ads website Kijiji, which is eBay's version of Craigslist. My brother sent me the listing, and right away I contacted the seller. A few hours later, they were mine! 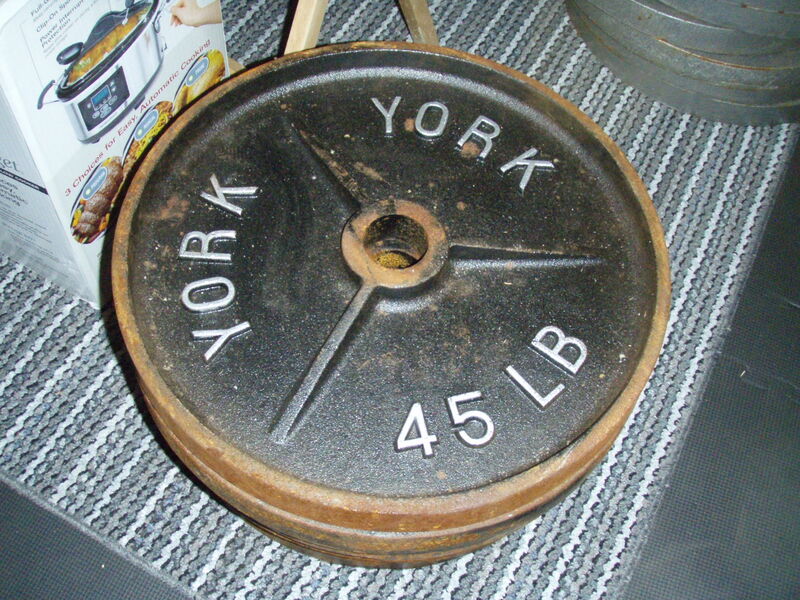 Normally Olympic plates cost anywhere from $0.70-1.00 per pound. But according to my calculations, I spent a little over $0.09 (9 cents!) per pound. I'm in the process of building a garage home gym, so this will definitely cut down on the cost. 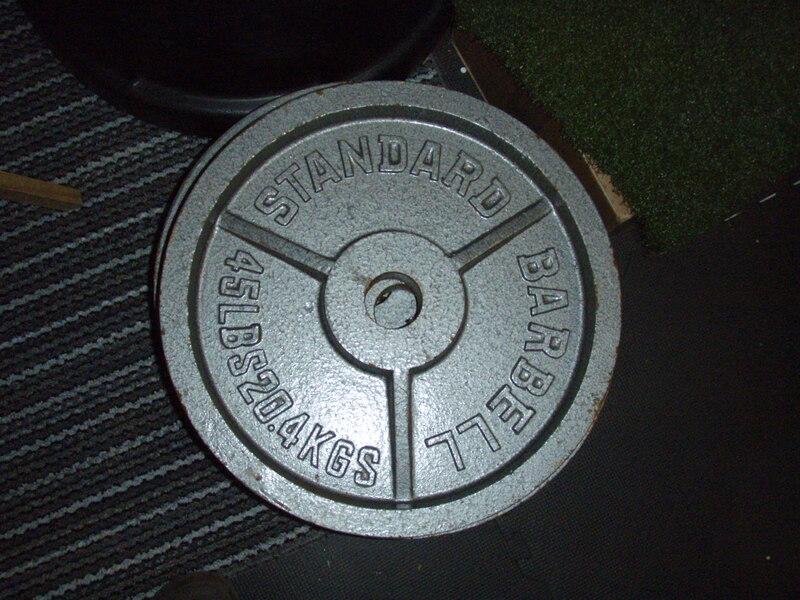 6 of the plates are silver in color, with the text "STANDARD BARBELL 45LBS 20.4KGS". I'm pretty sure these are crap made by CAP. 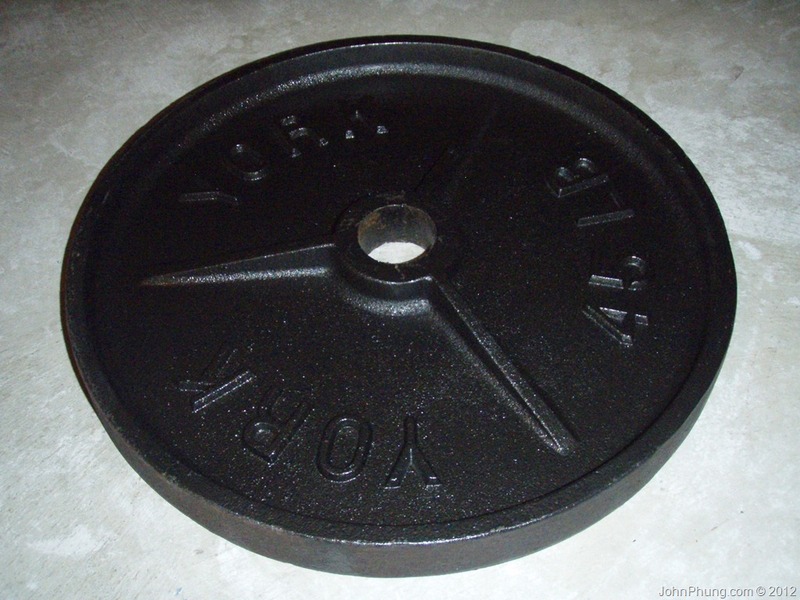 I've read some reviews about CAP plates, and apparently each plate vary in how much they weigh. I'm going to have to weigh them myself to get an accurate measurement. The other 6 plates was a pleasant surprise. 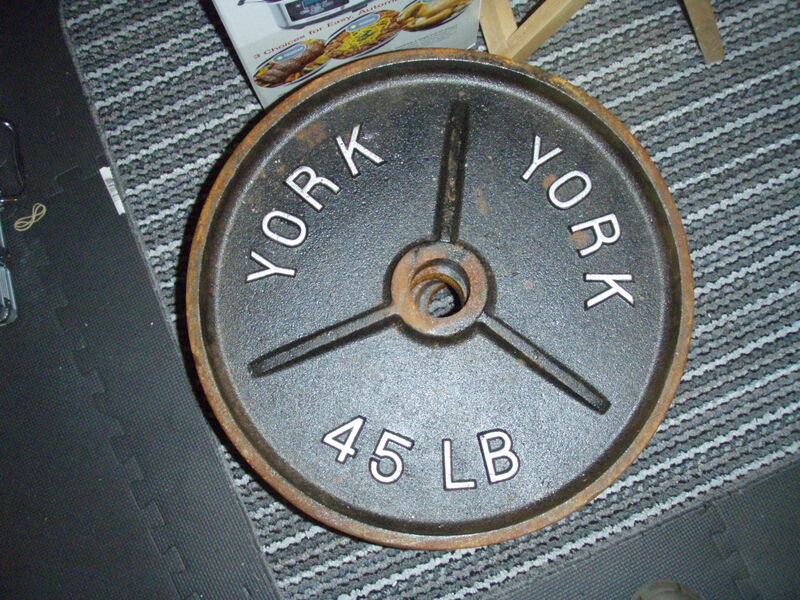 They are York 45lbs Olympic plates, and judging from the looks of it, they appear to be York's "Deep Dish" version. 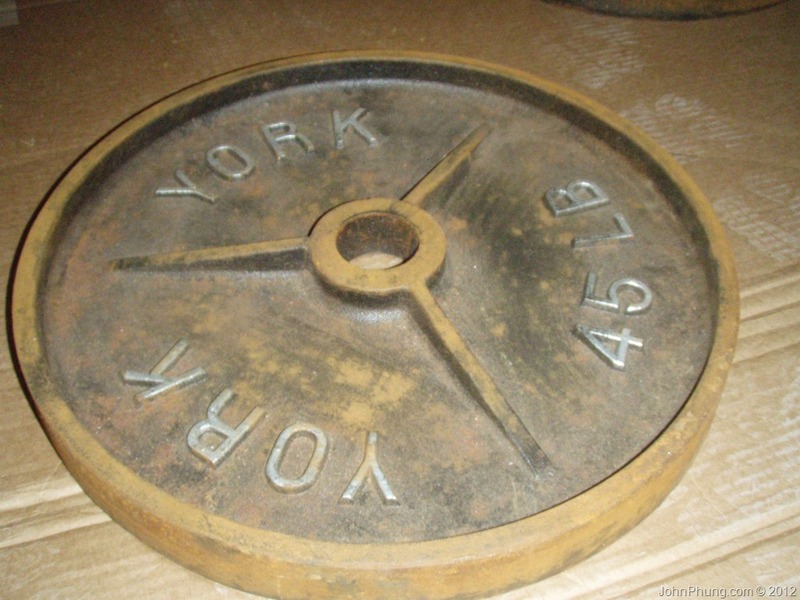 The weights were stored in a shed and are not in the best condition. 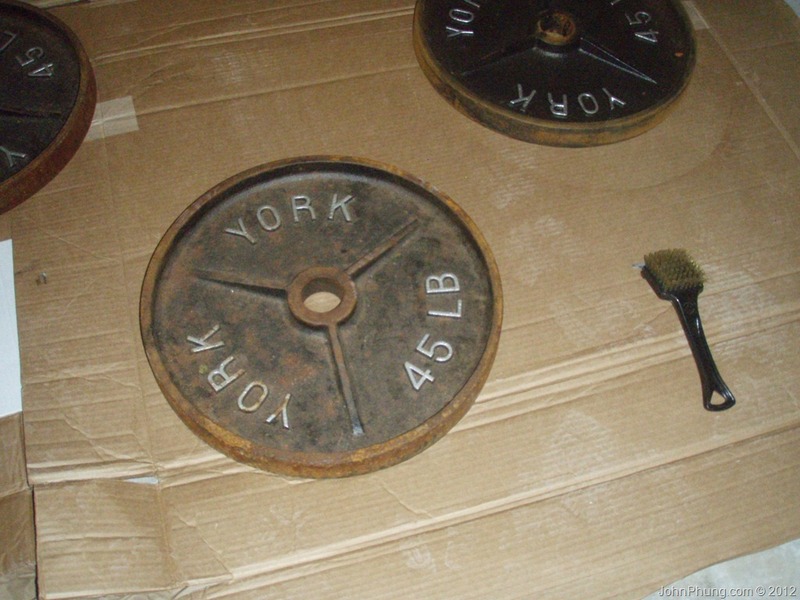 The York plates are very rusty, but I plan on using some "Evapo-Rust" from Canadian Tire to remove it, and refinishing them with some sort of rust-proof paint. Now to complete my garage home gym, all I need is a high quality Olympic bar, a few more plates (2x25lbs, 4x10lbs, 2x5lbs & 2x2.5lbs), a power rack, a bench and some gym flooring or horse stall mats and then I'm set.